Bar a Vin- formally named CIVB Wine Bar, in Bordeaux must be one of the best wine bars in France, maybe even the world. It is definitely the favourite place the DiscoverVin team. 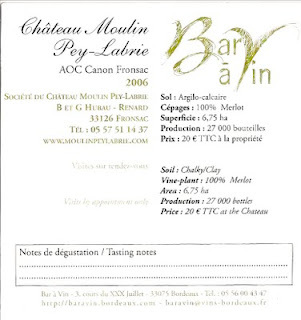 On our last visit we were excited see Chateau Moulin Pey Labrie on their wine list. DiscoverVin have established a warm and professional relationship with the Hubau family of Chateau Moulin Pey Labrie and import their wines into Australia. What, you ask, is the CIVB? 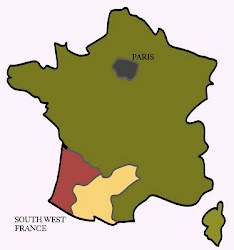 In French, le Conseil Interprofessionnel du Vin de Bordeaux, basically The Bordeaux Wine Council. 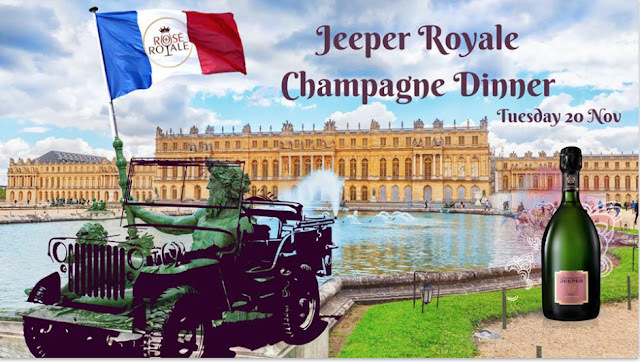 They offer wine classes, tours and through Bar A Vin a place to sample, enjoy and learn about the wonderful wines of Bordeaux. 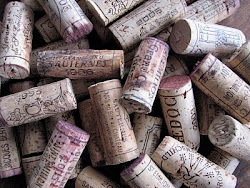 The wine list is very select and changes frequently. A few whites, a few reds, some dessert wines - ranging in price from 2 Euro to 8 Euro per glass, providing an entree into the exciting world of Bordeaux wine. Cards like the one above are there to help educate visitors about the diversity of Bordeaux wines, and offer a space for notes. 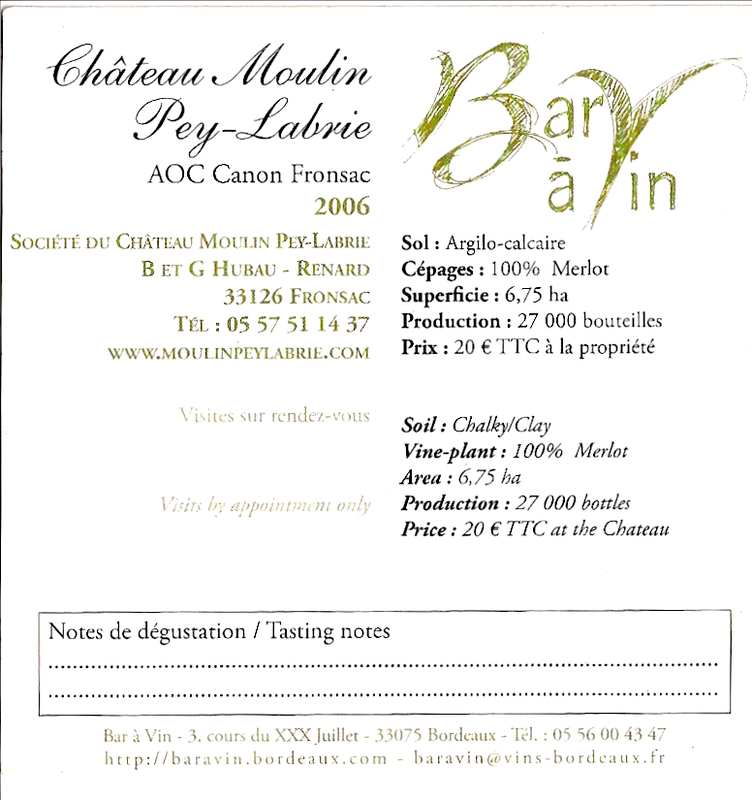 Describing the 2006 Moulin Pey Labrie you could jot down words similar to those on our website. Lovely purple colour. Red fruit and plums on the nose. 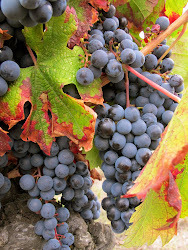 Palate is soft, round in the mouth with minerals and fine chalky tannins. Great balance and length. Delicious, classy merlot! With both outdoor and indoor seating you can sample the Moulin Pey Labrie Merlot/Cabernet Sauvignon blend with an accompanying cheese plate as you sit looking out to the Grand Theatre and the rich street life of the Allée Tourny. The Bordeaux trams rattle by as cyclists and pedestrians make great street theatre. Inside you can sit under a wall sized stained glass window of Bacchus or near a wall of bottles - all Bordeaux, on comfortable lounges and banquettes. Further inside you can meet friends in the dining space with tables or the bar, once again eating something small from the tempting menu. While deciding on a glass of the Moulin Pey Labrie, from St Emilion, Pomerol, Fronsac category on the wine list as opposed to one from the other area you can admire the glorious flower arrangements on the bar and nearby sidetables. So French - so beautiful, and you are drinking fabulous wine at the same time. No wonder DiscoverVin adore it. Now you don't have to fly to Bordeaux to taste it. You can get some right here.